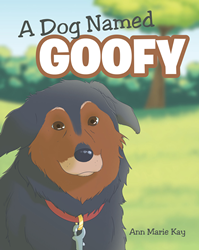 “A Dog Named Goofy” from Christian Faith Publishing author, Ann Marie Kay, is a beautiful and meaningful illustrated children’s storybook about an old rescue dog preparing to go to heaven, reassuring his human Mom that everything will be fine. “A Dog Named Goofy”: a touching story of loss and acceptance, is the creation of published author Ann Marie Kay, a registered nurse specializing in psychiatry for adolescents and preteens. She owns and manages Kay Farm Standardbred Rescue in Thompson, Ohio, which pairs up troubled kids with rescue horses. She aspires to open a group home for troubled youth on the farm, funded by her writing. Published by Christian Faith Publishing, Ann Marie Kay’s new book is an important attempt to help young readers develop empathy and deal with grief in a healthy and understanding way, enabling them to face life with a fullness of heart, a gratitude for their loved ones, and the inner strength to let go when it’s time for the inevitable. View a synopsis of “A Dog Named Goofy” on YouTube. Consumers can purchase “A Dog Named Goofy” at traditional brick & mortar bookstores, or online at Amazon.com, Apple iTunes store, or Barnes and Noble. For additional information or inquiries about “A Dog Named Goofy”, contact the Christian Faith Publishing media department at 866-554-0919.